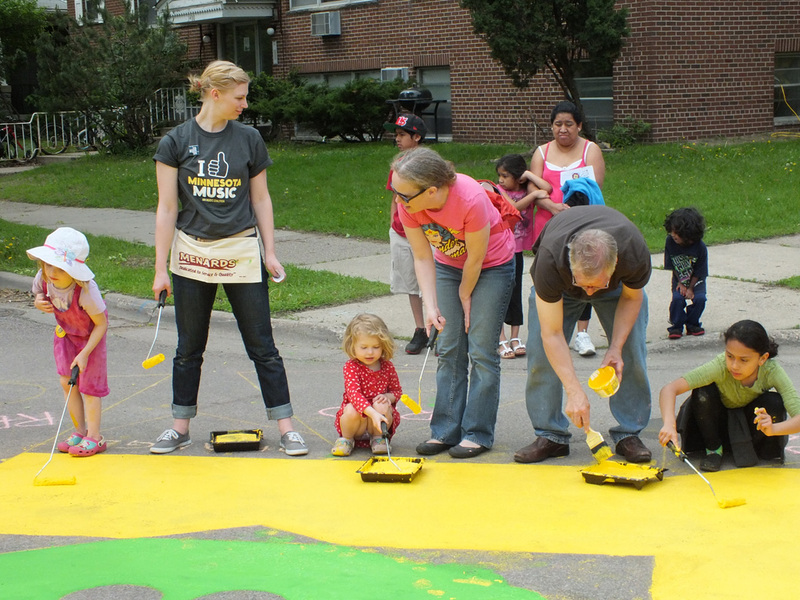 This project facilitates neighborhood community building and “placemaking” through the creation of a work of art in the middle of an intersection. 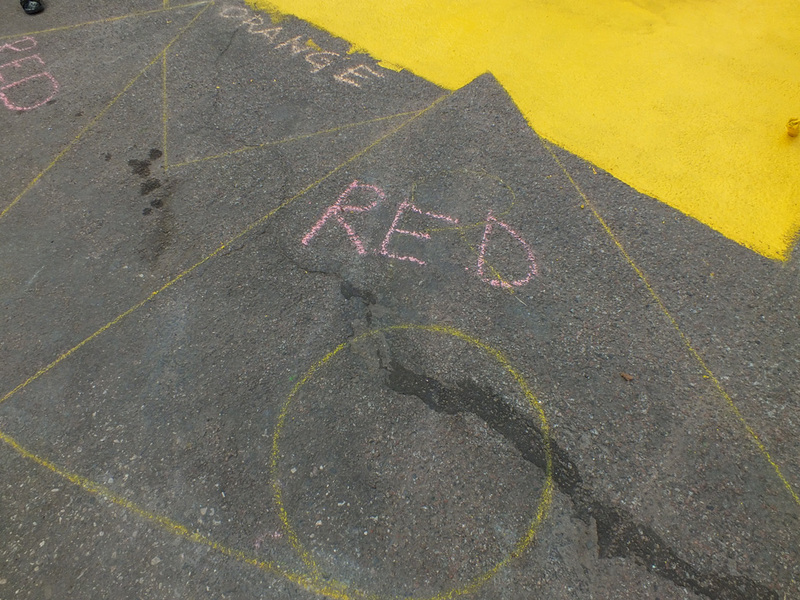 Professional artist Forrest Wozniak designed the piece to be painted on the intersection of 10th Avenue South and 34th Street, tracing a geometrical design for neighborhood residents to fill in with paint. 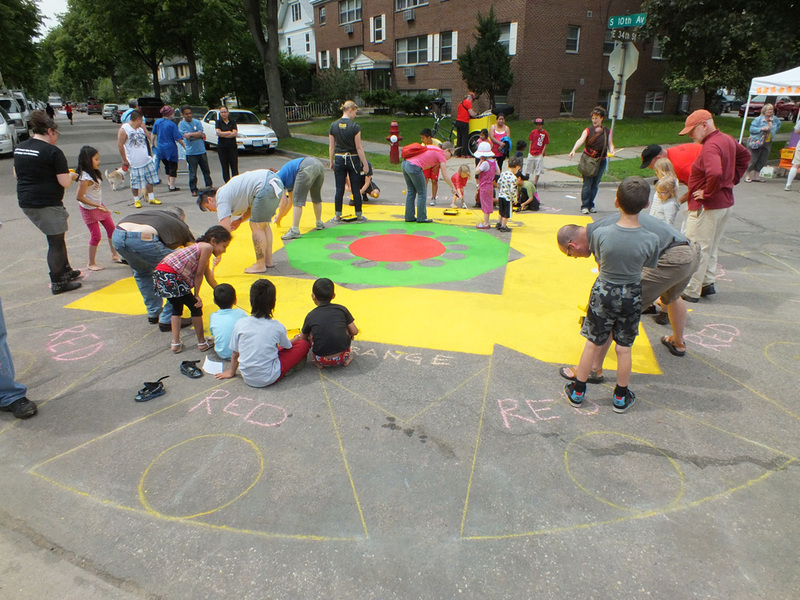 The large piece seeks to capture the spirit of Arts on Chicago as well as the neighborhood’s place within the larger South Minneapolis community. 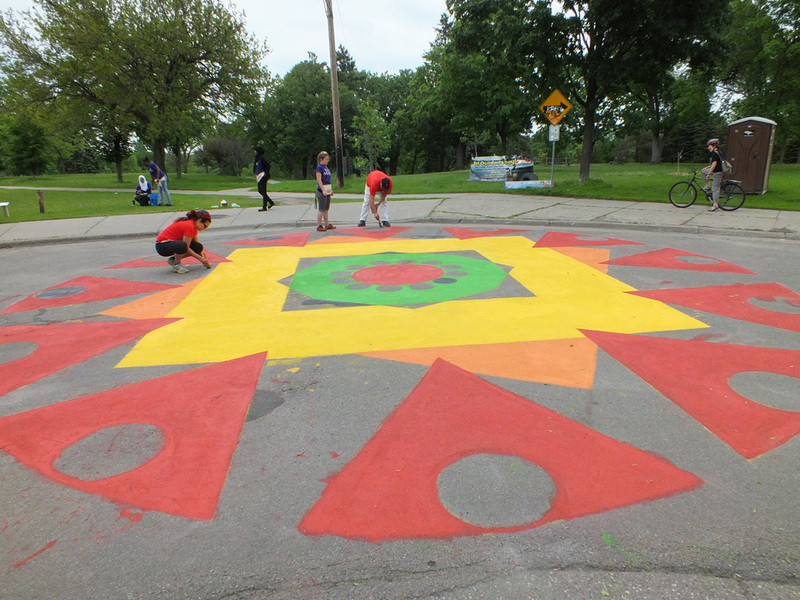 The design was painted at a community event on June 8th, 2013. 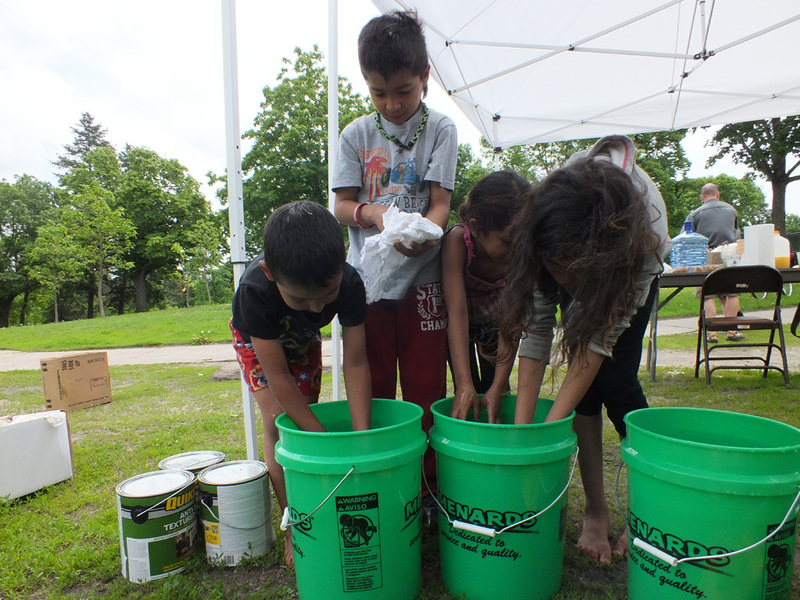 The goal of the project is to bring the people of this neighborhood together for a festivity of art- making, community pride-building, and cohesion. Paint the Pavement design by Forrest Wozniak. 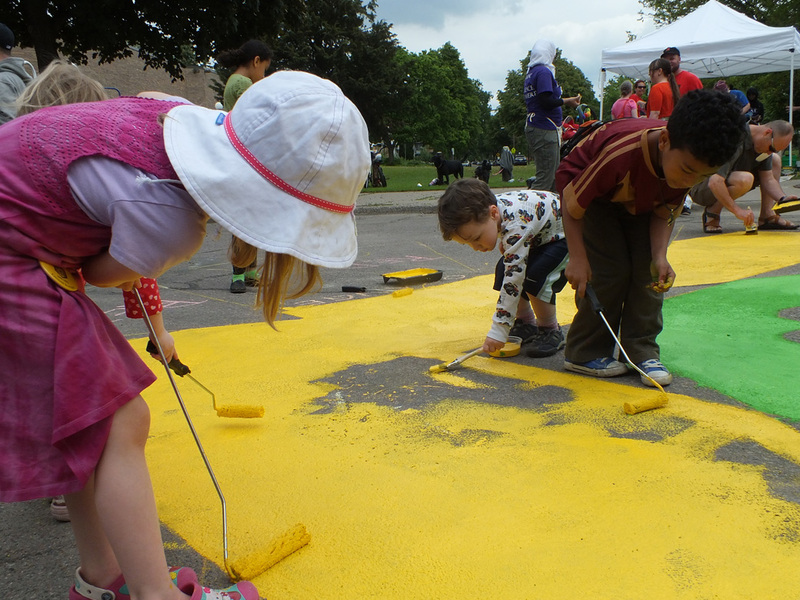 Paint the Pavement, June 8, 2013. 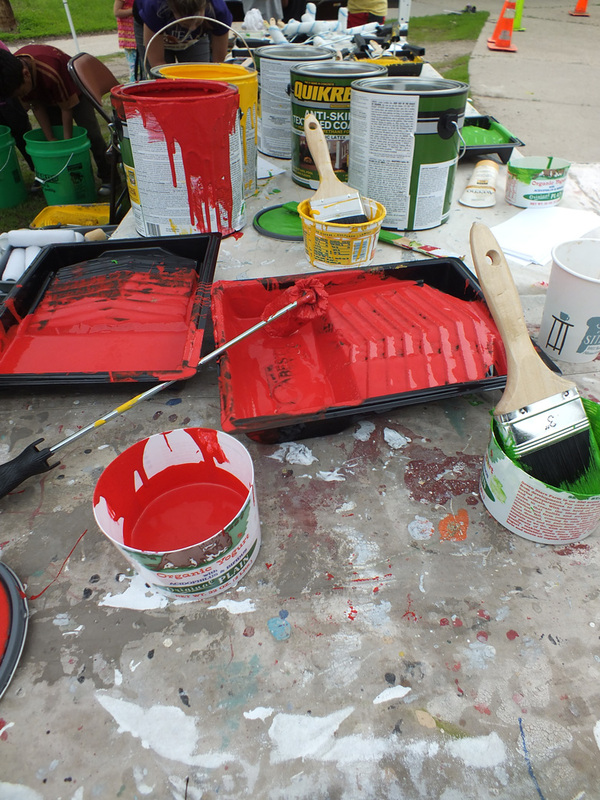 Washing up after painting the pavement, June 8, 2013. Putting the finishing touches on the painted pavement on 10th Ave. and 34th Street.